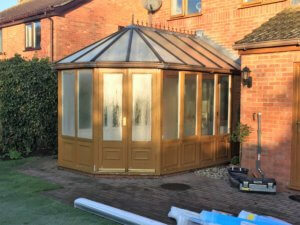 Last week we dismantled and disposed of this rotten timber conservatory. With single glazing and a poly-carbonate roof, the original was cold, damp and un-useable in the winter. 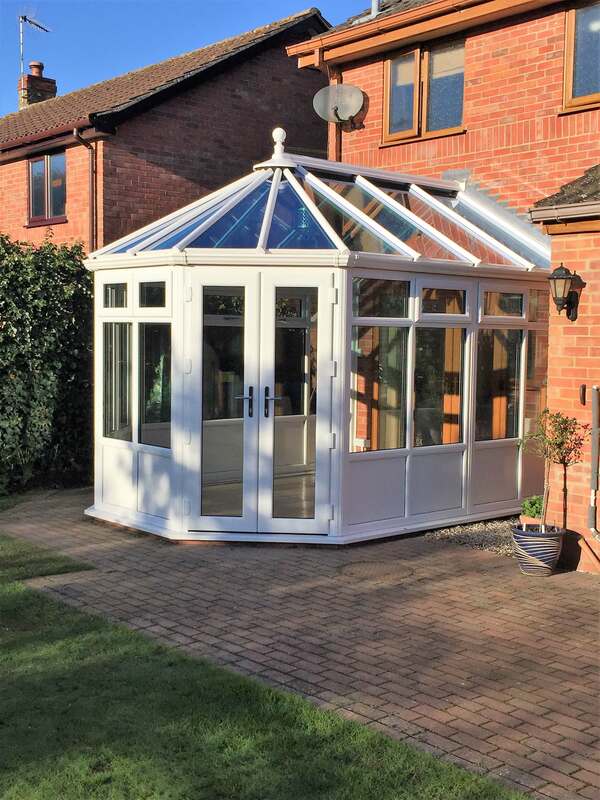 Now thanks to highly efficient A rated Kommerling o70 frames and an Ultraframe Roof with active blue sealed units our delighted client has a room they can use all year round. The before picture below really shows the difference this new installation has made. There is a wide range of colours to choose from, so you’re sure to find a combination to suit you. For more information about our wide range of windows, doors, and conservatories, get in touch today.